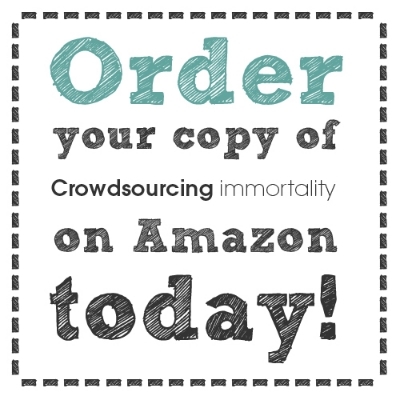 In 2014, an experimental project was launched to create the first ever book about immortality 100% crowdsourced on Kickstarter. A collaboration of writers, poets, thinkers, scientists, illustrators, artists and photographers mixed in with everyday men, women and children from all walks of life. A total of 182 co-authors took up the challenge, each contributing one page, sharing their take on immortality.